The first Worldcon I ever attended was Bucconeer in Baltimore in 1998. I had been attending science fiction conventions for a dozen years, but at the time had only been working on them for three. I knew of SMOFs and Fandom, of course, but I wasn’t really involved with fandom outside Chicago, which the year before had won the right to host the Worldcon in 2000. I was on the Chicon 2000 committee and in the following years would be thrust into national fandom. Although I didn’t really know or care at the time, the chair of Bucconeer was Peggy Rae Pavlat. Ten years later, Russell Davis, then President of SFWA, called out of the blue to invite me to serve as SFWA’s event coordinator. SFWA felt they needed someone to help organize their presence at Worldcon and run both the Nebula Awards and the annual New York reception. I had been recommended based on the work I did on the 2005 Nebulas in Chicago. It sounded like fun and I agreed. 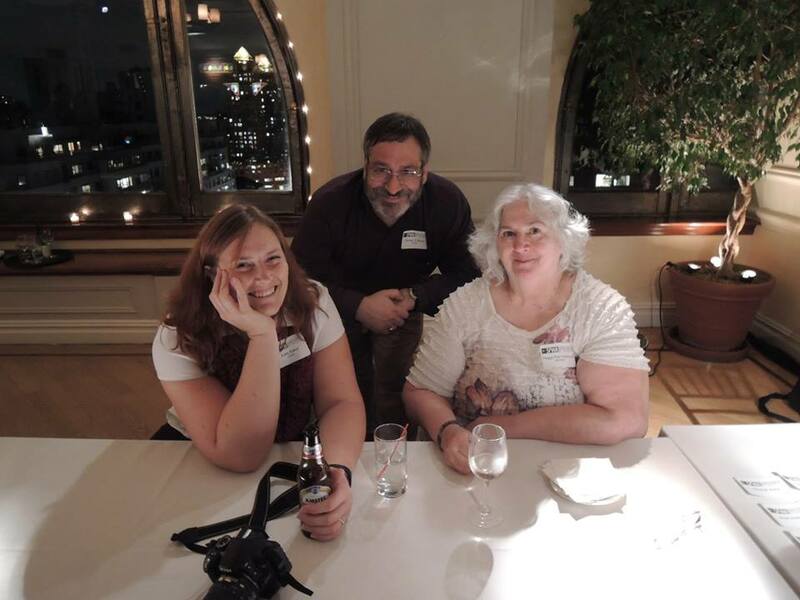 At the New York Reception that Fall, when I showed up at the Society of Illustrators, I was met not only by SFWA Executive Director Jane Jewell, but also by a friend of hers who had come up to help out, Peggy Rae Sapienza. By this time, I knew who she was and had been in touch by phone with her, but she was mostly a just a name and a resumé to me. That would change, not at the Reception, where we had little time to talk between handing out name badges and checking people off the list, but over the following months. 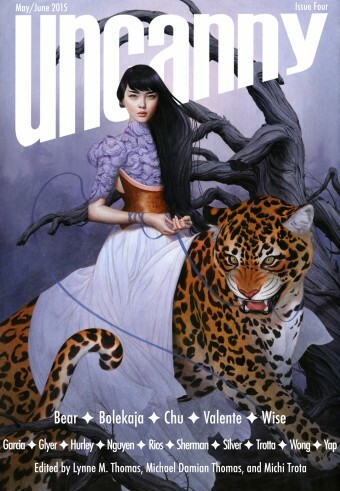 In 2009, the Nebula Awards were scheduled to take place in Los Angeles. The chair for that year suffered a catastrophic house fire in April, only weeks before the Nebula Weekend. Russell called Peggy Rae and me and asked us to dive in and help in whatever way we could. We worked closely with the chair and then–Secretary Mary Robinette Kowal to ensure that the event would go as smoothly as possible. It was during that time and at the Nebulas themselves that I became aware of Peggy Rae’s super powers. Simply put, Peggy Rae exuded confidence in you and you took strength from that wave of belief. If she thought you could do something, you could. If she asked you to do something, you considered your obligations and priorities and figured out how to say “yes,” and then did the best job you possibly could. I quickly learned that I wanted to live up to the image that I believed Peggy Rae had of me in her head. We continued to work together. In 2010, we co–chaired the Nebula Awards in Cocoa Beach, Florida, and I worked with Peggy Rae on the two Nebulas she chaired in Washington. We also worked to support the Nebulas in San Jose, California the following two years. This year and next, I’ll be chairing the Nebulas in Chicago. Without Peggy Rae. Over the years, we discovered many things, not least of which was that when it came to con–running we tended to think alike. When I had to make a decision, it was always great to hear Peggy Rae back it up. There was one decision I made in con–running that I know never sat well with Peggy Rae. Several years ago, I had the pleasure of calling her. She thought I was calling to plan the Cocoa Beach Nebulas, but I was really calling to ask her to be a Guest of Honor at Chicon 7, should we win (we were unopposed). I didn’t tell her right off the bat, of course, first we discussed mundane things and a little about the Nebulas. She said yes, we won, and she was the Fan Guest of Honor. And I told her she wasn’t allowed to work on the convention. We were honoring her. We would ask for her input, ask what she wanted to see, but she wasn’t allowed to actually help, nor would I share details of things with her when they went wrong. Of course, I know that she was getting that information from others, but she was only allowed to be feted. And I tried to come up with surprises for her. The tradition is for the following year’s Worldcon to run the Hugo Loser’s Party (and provide gifts), so Chicon 7 handled that responsibility in Reno. We arranged to give all of the Hugo losers kaleidoscopes with the name of the convention etched into them, because Peggy Rae had an absolutely fabulous kaleidoscope collection that she took great pleasure in and loved to share. At Chicon 7, at the base of the elevator in the exhibit hall, there was a patch of astroturf surrounded by park benches. Sitting in the middle of the patch was a small toy lawnmower, to give everyone at the con the chance to mow Peggy Rae’s lawn. In Spring of 2011, I took my family on a trip to Washington, D.C. One evening, we were scheduled to have dinner with Peggy Rae, her husband, and a couple of other friends in Arlington, Virginia. Half an hour before we were supposed to arrive at the restaurant, as we were about to cross the Potomac, I received a frantic call from Peggy Rae, wondering where we were and if everything was okay. My phone had shifted the time of our dinner by an hour when we moved from the Central to the Eastern time zone. Rather than still having half an hour before dinner, we were running half an hour late, and I had caused unnecessary concern to Peggy Rae. At Detcon 1, where Peggy Rae was on my staff for the at–con newsletter, she helped me stay calm when the job grew to encompass more than expected. Our easy familiarity led at least one fan who watched us work together to express surprise when she learned that Peggy Rae and I weren’t married. In the future, whether in fannish or non–fannish endeavors, Peggy Rae’s outlook on life and management will remain with me. I’ll continue to attempt to live up to her expectations and hope that I can provide even a small portion of her inspiration to the people with whom I work. Steven H Silver is a sixteen-time Hugo Award nominee and was the publisher of the Hugo-nominated fanzine Argentus as well as the editor and publisher of ISFiC Press for 8 years. He has also edited books for DAW and NESFA Press. He began publishing short fiction in 2008, and his most recently published story is “Webinar: Web Sites” in the anthology The Tangled Web. 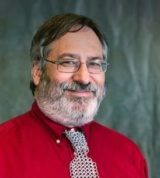 He has maintained a bibliography of Jewish Science Fiction since the 1990s and wrote the article on Jewish Science Fiction for the Encyclopedia of American Jewish History.